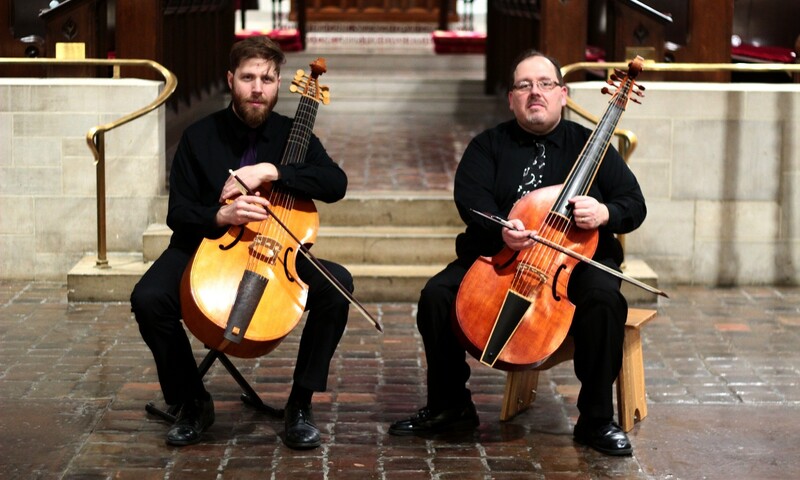 Madison’s Eric Miller & Chicago’s Phillip Serna launch their new historical-performance ensemble ViolMedium with Façades & Duplicities, a multidimensional exploration of the rich harmonic, timbral and dramatic potentials offered by violas da gamba! Appearing in St. Paul, Madison, Milwaukee & Chicago, this intrepid duo presents masterworks ranging from the 17th through the 20th centuries by Abel, Bartók, Finger, Marais, Sainte-Colombe, Schaffrath & more! For tickets & more information, please visit http://violmedium.org/concerts. ERIC MILLER, educator and performer, performs as a viola da gambist and cellist around the Midwest. A specialist in repertoire from the 16th through 18th centuries, Eric performs solo recitals on viola da gamba and is a member of the Wisconsin Baroque Ensemble. He also collaborates frequently with songwriters, including Indie Folk artist Katie Burns with whom he has recorded five albums. Eric is the founder and director of the Madison Youth Viol Consort, a program for students grades 8-12. In addition, Eric teaches a large private cello studio and has taught orchestra in public schools at all levels since 2009. As a classically trained cellist, Eric holds degrees from Northern Illinois University and UW-Madison where he trained with two consummate chamber musicians, Marc Johnson and Parry Karp. In addition to his double bass career as soloist, orchestral performer and chamber musician, Phillip W. Serna has emerged among the nation’s leading advocates of the viol – the viola da gamba. Co-founding the Chicago-area historical-performance ensembles Black Tulip, New Comma Baroque, ViolMedium, and the Spirit of Gambo – a Chicago Consort of Viols, he’s appeared across the United States with groups ranging from Burning River Baroque, the Chicago Early Music Consort, Les Touches, the Newberry Consort, and many others. He can be heard on WFMT Chicago, Wisconsin Public Radio, Milwaukee Public Radio, and on releases from Clarion, Cedille, and Varèse Sarabande Records. Holding Masters and Doctoral degrees from Northwestern University, Phillip teaches at Valparaiso University, North Central College, the Music Institute of Chicago, the J.S. Bach Academy of Music and is assistant director of Illinois’ first public-school period-instrument program at Adlai E. Stevenson High School. Phillip has served on the faculties of the Madison Early Music Festival, the Whitewater Early Music Festival, and is the music director of Viols in Our Schools earning him Early Music America’s 2010 Laurette Goldberg Award for Early Music outreach.